Miscellaneous books that feature the Nightmare on Elm Street series are listed below. Here’s Freddy! The Man of Your Dreams. The Life and Death of Freddy Krueger—a biography of the bad guy, who died years before the Nightmares began. Inside information on special effects—how they make phones come alive and beds erupt in geysers of blood. Interviews with the cast—Robert Englund talks about playing Freddy, the victims speak. Complete plot summaries of the movies, including A Nightmare on Elm Street Part 3: Dream Warriors. Dozens of gruesome color and black & white photos. 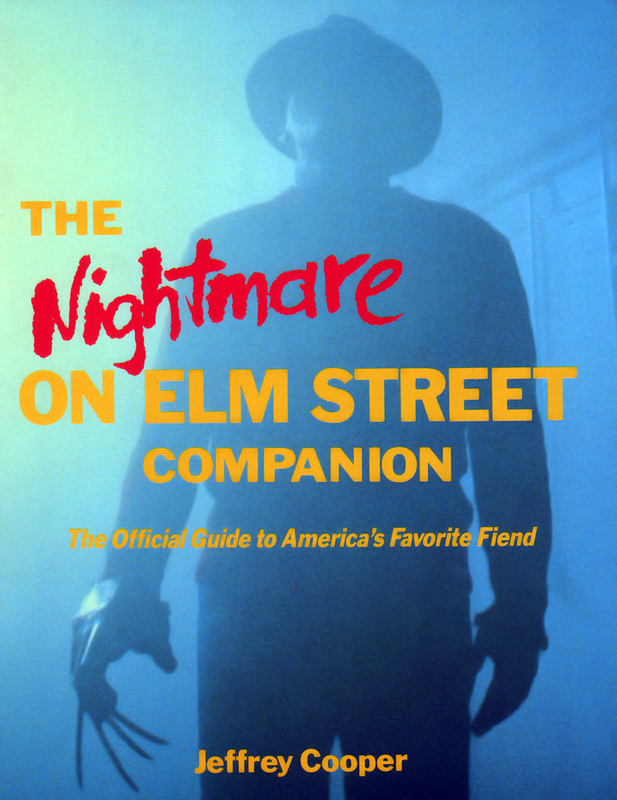 Packed with gory trivia, The Nightmare on Elm Street Companion is a delight for horror and film buffs and for all the Freddy-fans waiting out there… in the night. Note: A very interesting book on the behind the scenes of the first two Nightmare films. The plot summary for Nightmare 3 is from the original Craven/Wagner script. Published by: Pop Cult, Inc.
Scans courtesy of Vinnie Rattolle. It’s been less than five years since Wes Craven’s A Nightmare on Elm Street was first released and what was considered to be just a one-shot story has spawned three sequels (with another in the works) and a weekly, syndicated television series. Craven certainly never expected this film to generate sequels; only one of his films had even spawned a sequel before. And that sequel had trouble even getting released to theaters once it was finally made. But this was a story that Wes Craven had worked on for some time while it made the rounds of the studios where it was proverbially rejected by most everyone. Not even Craven expected it to touch such a responsive chord in the audience that they would want to see more. Going back and examining the first film, we see that while Freddy appears throughout the film, his face is often barely seen and the burn makeup used there does not seem as vivid and explicit as what we saw beginning with the first sequel. While the first film certainly offers explicit horror, Freddy’s features are not seen in glaring close-up but rather shown as though to see too much would be too horrible. That remains the scariest of the series thus far. What no one expected is that people would want to see more of Freddy. When the low budget A Nightmare on Elm Street grossed thirty million dollars for New Line Cinema, a sequel became inevitable. 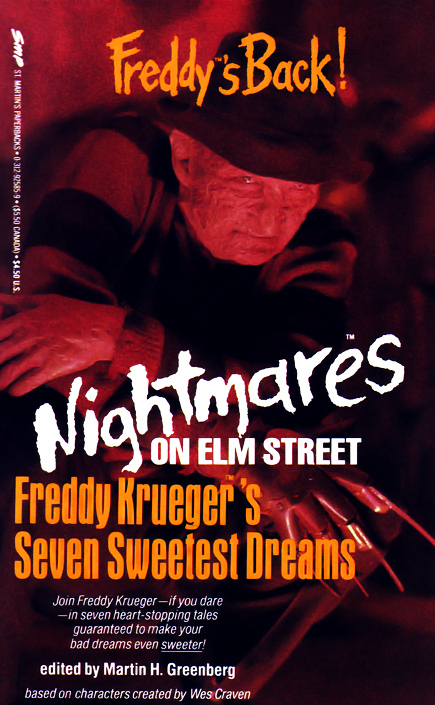 By the time A Nightmare on Elm Street Part 2: Freddy’s Revenge was released, word of mouth of Freddy had spread. Plus the first film had been released on home video, increasing the audience for a sequel even more. This is why the sequel grossed even more than the first film. More people knew what it was as soon as it came out. Each film has continued to do better than the one before it until now the features alone have grossed $140 million and toys and merchandise of every kind has been licensed featuring Freddy’s likeness—a scary thought in itself! What separates Freddy from Jason (of the Friday the 13th film series) and Michael Meyers (of the Halloween series) is that Freddy is not just a heavy breather who kills teenagers. He’s pushed the slasher genre into a realm where things become surreal and more imagination is called on to tell his stories. He’s become a bogey man who is fascinating without having to rack up a body count to get attention, but that doesn’t stop him from going ahead and doing so anyway. At one point there were discussions with Paramount about teaming Freddy with Jason (about the time that Nightmare 2 was released), but Paramount wasn’t sure that Freddy was popular enough. Now with the series with Jason seeming as though it has all but breathed its last, you probably couldn’t get New Line to team Freddy up with anyone on a bet. He’s a star on his own, and one capable of being spun off in directions far more interesting than just as the great screen slasher of the Eighties. To sleep… ‘It’s getting awfully late. The sun will be rising soon. And you say you still aren’t tired? How’s that? You’re trying to stay awake? You’re afraid to begin… dreaming? You’re scared you’ll run into me? …perchance to scream. 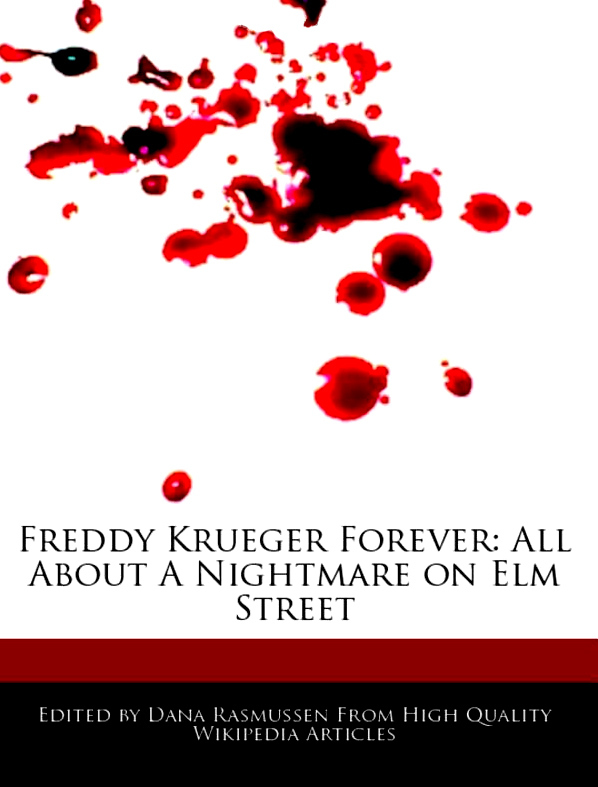 The official history of Freddy Krueger and the Nightmare on Elm Street films, written with the cooperation of New Line Cinema. This book includes all the facts and inside information (much of it never revealed anywhere before during that time) that every fan of the world’s favorite “Dream Killer” will be “dying” to read about. Photos, charts, diagrams, and memorabilia throughout, plus a 16-page color photo insert. 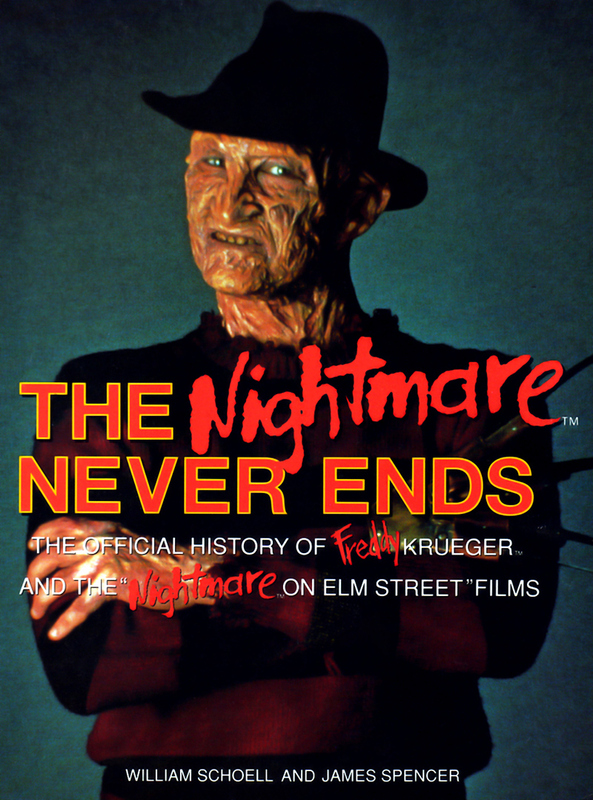 Note: Very detailed and full of brilliant photos, The Nightmare Never Ends is one of the best Nightmare books released for fans of the series—new or old! Writer, producer, and director Wes Craven has successfully tapped into he horror vein for over thirty years, serving up scary, funny, hip thrillers that demand a second look. His films have been both crucial and commercial successes, most notably A Nightmare on Elm Street which spawned a series of sequels and made Craven (and his creation, Freddy Krueger) an international sensation in the eighties. But Craven’s films have also become classics in a field that he continues to reinvent the horror genre is still reeling from the impact of his most recent project, the brilliant Scream series. With ‘Screams and Nightmares,’ author Brian J. Robb covers Craven’s entire career, from his low-budget beginnings to his most recent box office hits. Every Craven film is covered from the banned thriller Last House on the Left and the cult classic The Hills Have Eyes to the outrageous Shocker and The People Under the Stairs. Through exclusive interviews with Craven, Robb provides in-depth accounts of the making of each of the films, and concludes with a section of the director’s up and coming projects. With a full filmography and more than 200 black & White photographs, many from the director’s own collection, ‘Screams and Nightmares’ is quite simply the only book of its kind. 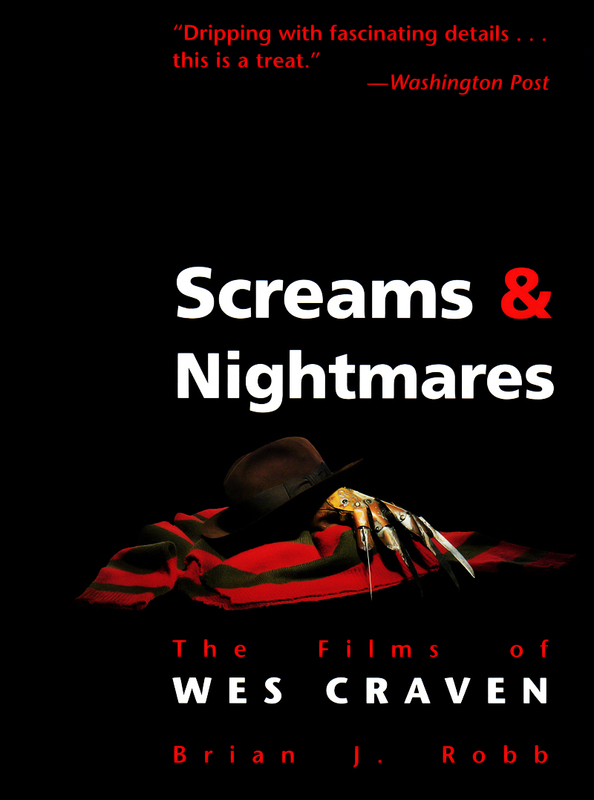 Note: Great info on Wes Craven’s career and the history of the Nightmare series—all of the films are discussed in this book. For the past twenty-five years, cinematic icon Jason Voorhees has terrified audiences around the world, his long-running exploits spanning eleven films and generating over $500 million in box office receipts. Now, for the first time and in their own words, over two hundred alumni of the series including Sean Cunningham, Wes Craven, Frank Mancuso, Ronny Yu, Kevin Bacon, Kelly Rowland, Crispin Glover, Jason Ritter, Robert Englund, Corey Feldman, Kelly Hu, Kane Hodder, Tom Savini, Adrienne King, Amy Steel, and many others recall a quarter-century’s worth of behind-the-scenes stories, struggles, controversies and calamities. 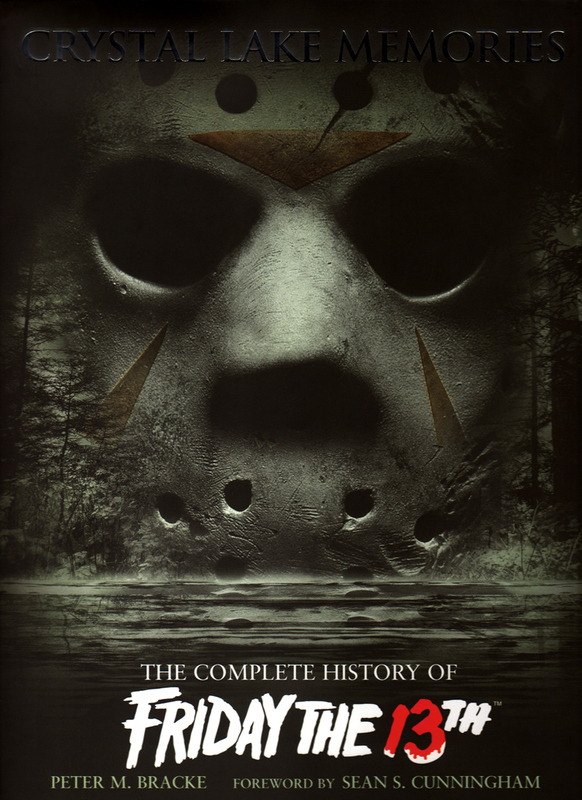 Fully illustrated with over 500 never-before-seen photos, rare archival documents and production materials, this is the ultimate oral and visual memoir of the most successful horror franchise in the history of motion pictures. Note: A wonderful resource for Friday the 13th fans. This book also covers Freddy vs. Jason in detail. You’ve seen him in the A Nightmare on Elm Street series—and in your darkest dreams. The sadistic killer with the flame-charred face. The knife-blade claws. The razor-sharp wit. Freddy… But you’ve never seen him like this. Unflinching. Uncensored. Unmasked. 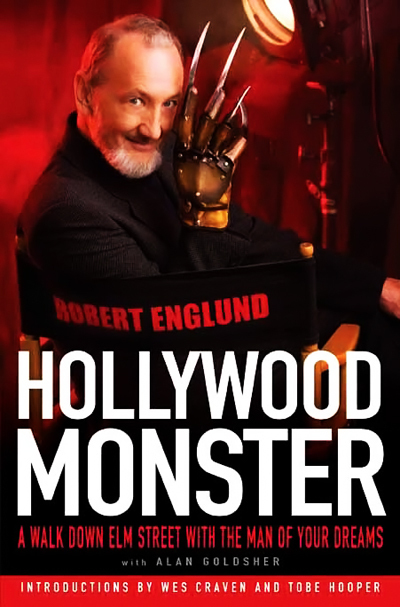 Meet Robert Englund, the award-winning actor best known for his role as Freddy Krueger—the legendary horror icon featured on the American Film Institute’s “100 Greatest Heroes and Villains” roster—a character as unforgettable and enduring as Bela Lugosi’s Dracula and Boris Karloff’s Frankenstein. Now, for the first time, the man behind the latex mask tells his story in this captivating new memoir, published to celebrate the twenty-fifth anniversary of the first A Nightmare on Elm Street film. You see, Robert Englund is no monster at all, but a deeply funny, charming Hollywood veteran. Packed with Robert’s hilarious stories, playful self-deprecation, and a generous helping of never-before-revealed A Nightmare on Elm Street trivia, Hollywood Monster offers an unparalleled look at the beloved film icon. With insider savvy and gallows humor, Robert recounts his audition for Wes Craven, the inspiration for Freddy’s character, the grueling makeup sessions, his soon-to-be-famous costars, the often disastrous on-set blunders, and the wave of popularity that propelled this humble California surfer kid all the way to the top. But soon after his high-profile stint in the groundbreaking TV miniseries V, Robert Englund took on the most celebrated role of his career—the macabre and wisecracking killer who quickly became a household name. From the moment Freddy Krueger dragged his claws across a rusty pipe in the opening dream sequence, a legend had been unleashed—and a star was born. This is his story. Freddy Krueger haunted the dreams of millions throughout the ’80s and ’90s. He was the bladed-glove-wearing psycho killer everyone feared in the slasher film that made Elm Streets across the country something to be leery of. He was the brainchild of Wes Craven who turned the murderous child-killing character into one of the most feared yet beloved movie villains of all time. 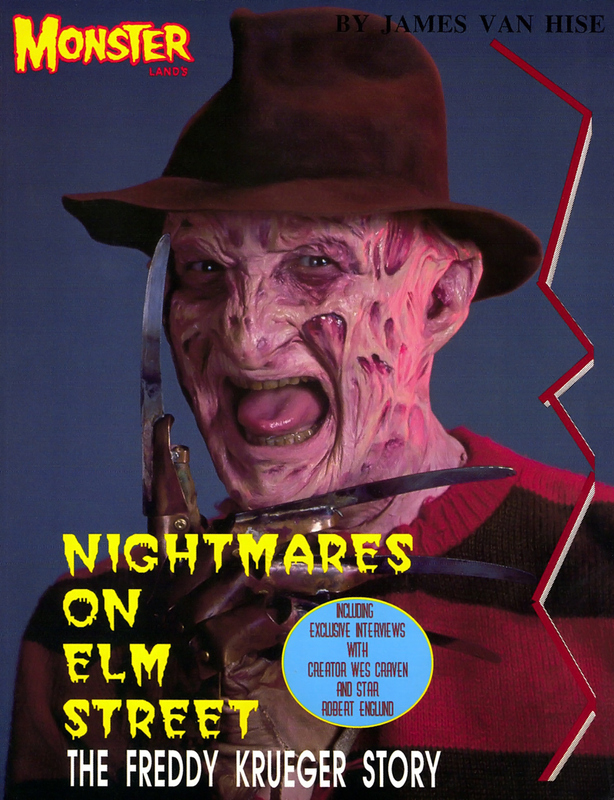 With this book, take a look back into the A Nightmare on Elm Street series. Read about the characters and the stars that played them and find out everything you ever wanted to know about the series. Did you know Johnny Depp and Patricia Arquette got their first big breaks with the series? But they’re not the only big stars to come in and out of the nightmare. Relive the scary series, find out about the recent remake and all the sequels in between the first time you ever saw Nancy battle Freddy and today with Freddy Krueger Forever: All about a Nightmare on Elm Street. Note: As referenced on the front over, this book’s source material comes from articles found on Wikipedia. Dana Rasmussen edited the articles to meet publishing standards. The Chinese edition of this book features an alternate cover. An absorbing portrait of horror’s most terrifyingly imaginative writer-director! Wes Craven is one of the most successful and iconic horror movie directors in Hollywood, with a career that has spanned almost forty years. His examination of the nightmarish nexus of dreams and reality has enthralled millions around the world. 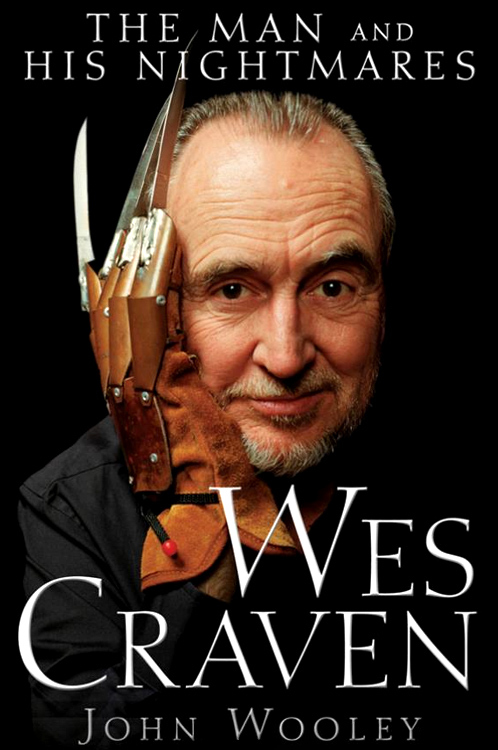 This book goes beyond the screen to examine what really led to Wes Craven’s nightmares—and ours. Why was Craven reluctant to direct Scream, which spawned the number one horror franchise of all time? What led him to begin his career as a film director by making one of the most controversial horror movies ever? What inspired him to create the horrifying Freddy Krueger of A Nightmare on Elm Street? In this fascinating and insightful biography filled with new revelations from the author’s most recent interview with Craven, you’ll discover the answers to these and many more questions about the man whose name has become synonymous with horror. 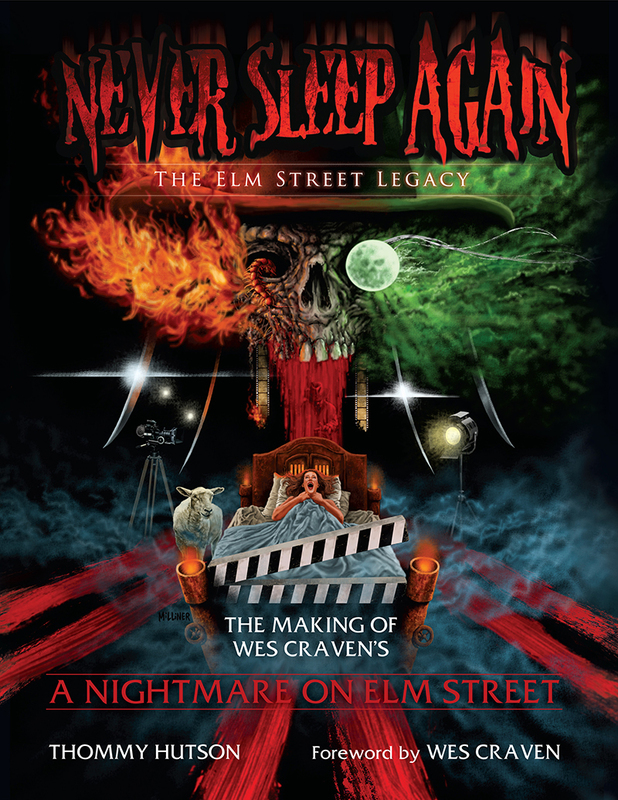 Never Sleep Again: The Elm Street Legacy—The Making of Wes Craven’s A Nightmare on Elm Street is the ultimate look at the scary, thrilling and groundbreaking 1984 film. Through personal relationships and incredible access to many of the film’s cast and crew, the ultimate story of how the movie was conceived, created and released—and its indelible mark on the world—will truly come to life.